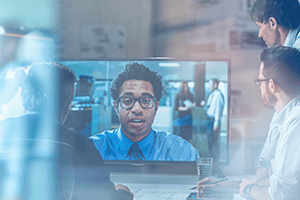 NEC’s industry-leading range of Conferencing and Collaboration options allow organisations to connect and share information and ideas with colleagues, customers and business partners in multiple locations easily and more effectively. Business moves at a relentless pace. Ideas are frequently conceived in isolation and inevitably developed in teams. But what if those teams sit on opposite corners of a continent or straddle multiple time zones? Technology needs to keep up with increasing market demands and the right-now routines of your employees, particularly collaboration tools. NEC knows this. Leveraging our considerable unified communications heritage, the NEC range of Conferencing and Collaboration tools delivers a glitch-free light speed user experience. 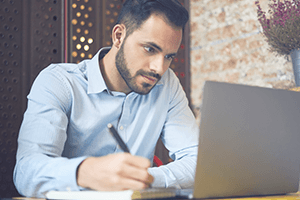 With NEC’s Conferencing platform, hundreds of your people can connect on any device using a web browser – there is no need for added hardware nor needless planning. Just log on and communicate. And the results are profound. Greater sharing of information. No creative downtime or disconnect through convoluted entry points. Faster decision making. Greater productivity. NEC allows your people to connect in ways they never have before. To find out how easy it is to get started, connect with NEC.